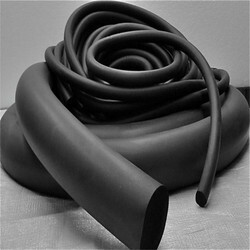 We manufacture Neoprene Rubber Extruded products with Continuous Microwave curing Line. Sponge rubber products from NBR , EPDM and Silicone rubber with Size 5x5 mm to 100 x 100 mm. Owing to the presence of our expert team members, we are engaged in catering a wide range of Neoprene Cords under our product range. Our offered range of Neoprene Cords is available at market leading prices along with unmatched quality. Our entire product range is processed under the strict supervision of experts, using the high grade technical skills and advanced machinery and other related equipments. Our ranges of products are highly appreciated among our clients due to their trouble free performance and superior quality. Our offered Neoprene Extruded Products are created with use of industry grade components and advanced technology under the guidance of our deft professionals. These allow devices to function flawlessly by controlling EMI/RFI interference; thermal management, shock, and vibration; and attenuating sound. Furthermore, products are highly appreciated among our clients due to their trouble free performance and superior grade. These are available at market leading prices and customization in case of client specific application requirements. 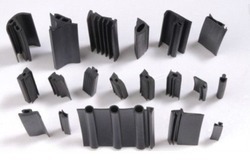 We are engaged in offering offers a wide variety of Neoprene Rubber Extrusion that include custom extruded profiles in continuous lengths or cut to length and intricate profile shapes with colour matching requirements. 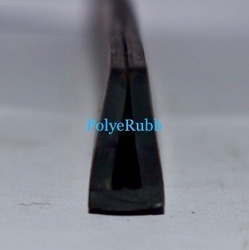 These are available in number of profiles, ranging from simple rubber tubing to complex extrusions. Furthermore, is an extremely versatile synthetic rubber with proven performance as a multipurpose elastomer, neoprene rubber can be used to fit a wide variety of consumer products due to its outstanding toughness and various resistances.